Getting ready usually consists of shooting both the bride and the groom. Most times we will have two photographers. One for the bride and one for the groom. Shooting the groom and the groomsmen is an easy and fun affair and they tend to appreciate that I shoot quickly without asking too much from them. Usually they are amazed when I tell them we are all done. The groom really wants to hang out with his friends and have a great time. The groomsmen also want to hang out and have a great time. So a quick intro and a crappy joke to break the ice is usually all it takes before I start shooting and joining in with the fun. The groomsmen usually take anywhere from a half an hour to 45 minutes while the bride can take up to an hour to photograph. For the bride we typically arrive just before her hair and make up is finished. We get a couple of shots of the bride and the make up and hair artists. Then we start shooting a few beautiful portraits close to some window lighting. I usually follow that up with shooting the dress, Jewelry, invitation, and other details I can find. Have to have details. Something we do a lot of while you are getting ready. Well it’s the season once again. The time when newly engaged couples are starting to plan their wedding and begin the critical search for the right photographer. After all it is the photographer going to be the one that captures the essence of a lifes worth of dreams hopes and expectations. Engagement photography session with Jason Giordano. Everyone knows engagement photography has become part of the lengthly process of planning a wedding. Perhaps it may seem a bit trendy. But there are quite a few benefits to both the photographer and the couple in doing so. What is engagement photography and why is it important for you to consider? For me it’s the perfect opportunity to get to know my new friends on a personal level. Be sure you do your research before making contact. You want to know that you like the work before calling to discuss package pricing and details. Once you’re convinced you’ve found the professional of your liking and the reviews are positive it’s time to make the call. Introduce yourself and be sure to provide the date and locations. Most professionals would ask for this information before continuing anyway. There are two ways that I see it in managing your engagement session as far as booking. I’ll discuss both options next. One way to do it is to hire the photographer for just the session first and then for the wedding if you really enjoyed the time you’ve spent with them. The bridal party wants to have a great time. Chances are they will cooperate and listen to what he or she is saying if they enjoy being around them enough. You definitely need to have an easy going fun and upbeat personality in this business. Another great trait is to know when and how to disappear and still get the shots you need. With so much going on on your day you need someone that has seen it all and know exactly how to handle every situation. If you hire the photographer for your session separately you may pay a premium. 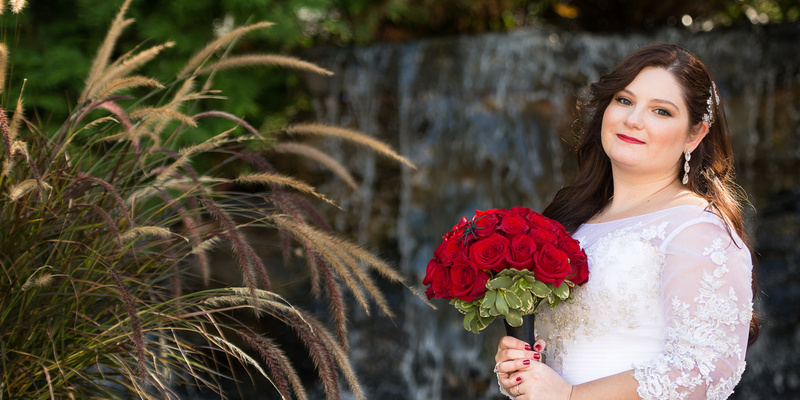 We are happy to add the cost to the total of most wedding photography packages. A sweet kiss in the stable. Include the engagement session in your wedding photography package. Like most any purchases you will be making for your wedding day the more you commit to purchasing the better deal you may receive. Other options to consider are wedding albums, gallery wrap prints, and thank you cards to name a few. If there is one suggestion I would have for anyone considering hiring a professional photographer besides checking reviews for both positive and negative, it would be to schedule a one on one meeting. Perhaps not as critical for an engagement session but certainly before signing a contract for the wedding. I sincerely hope this helped and welcome any and all questions. Feel free to call 973-862-5146 with any questions. We would love to hear from you. Framing the Bride and Groom with this window at the Rock Island Lake Club in Sparta NJ helps showcase the romance of the day. We used a flash and a trigger behind the newlyweds and exposed for the outside wall. Adding enough light inside without washing the color of the chandelier or up lighting of the venue. I liked the slight tilt of the window better than straight on. A little fixing of the tie for the groom. The groom getting ready for the day. The WeddingWire Couples’ Choice Awards® 2016 recognizes the top 5% of local Wedding Professionals from the WeddingWire Network throughout the United States and abroad that demonstrate excellence in quality, service, responsiveness and professionalism. Jason Giordano Photography continues to achieve the highest honors. Unlike other awards in which winners are selected by the organization, the WeddingWire Couples’ Choice Awards® are awarded solely based on the reviews from over 1.2 million newlyweds. Awards are determined by a combination of excellence in four factors: overall rating (quality), total number of reviews (quantity), review performance from 2015 (recency), and consistency of reviews from year to year (consistency). Jason Giordano Wedding photography would like to thank all of our clients for your continued support. We are always honored to be the photographer of choice and will continue to work hard to earn your five star reviews. This has proven to be the foundation of the continued success we’ve enjoyed over the past 15 years. Jason Giordano photography enjoys the honor of having received nothing but 5 star reviews in 2015. This has been proven to be another tremendous year for us. We set out to assure each and every client was 100% satisfied along every step of the way by delivering the highest quality product, being professional, courteous, flexible, and fun to work with. Our family has grown with the list of clients that have invited Jason Giordano Photography to be a part of their special day. As a member of WeddingWire, the world’s largest wedding review site with over one million reviews, Clifton NJ Wedding Photographer Jason Giordano’s achievement of Couples Choice Award™ is an impressive milestone and an indication of the positive experiences expressed by their past clients. As a recipient of the Couples Choice Award, Jason Giordano is highlighted on WeddingWire, which is comprised of over 200,000 wedding professionals throughout the United States and Canada. WeddingWire®, the nation’s leading marketplace serving the $70 billion wedding industry, is the only online wedding planning resource designed to empower both engaged couples and wedding professionals. For engaged couples, WeddingWire offers the ability to search, compare and book over 200,000 reviewed wedding vendors, from wedding venues to wedding photographers. WeddingWire also offers a comprehensive suite of online planning tools for weddings, including wedding websites and wedding checklists, all at no charge. For wedding professionals, WeddingWire is the only all-in-one marketing platform for businesses online and on-the-go. WeddingWire offers one simple solution to build a professional network, improve search visibility, manage social media and reach mobile consumers. Businesses that advertise with WeddingWire appear on WeddingWire.com, ProjectWedding.com, Top10Forex.net and other leading sites, including MarthaStewartWeddings.com, Brides.com and Weddingbee.com. One of my favorite times of the wedding season. Fall is excellent for vibrant warm colors. Here we were lucky enough to have an grape orchard all to our own! Call 973-619-5678 for information. Fall Weddings are one my favorite next to spring which are also very fun for creative wedding photography. For more information and samples of my fall weddings you can visit my page here. Obviously a beautiful day. What else more could you ask for. Not only was this a fall wedding but it also happened to be on Halloween day. The decorations were fun and the staff at the Valenzano Winery were a pleasure. Another fantastic wedding venue where you wedding photos are sure to make a high impact in your home for years to come. Found this and thought it would be quite useful for this weekends portrait sessions at Brookdale Park. Color outfit suggestions for the entire family during your fall portrait session. Book your portrait session for this weekend Click here now. While I can tell that I enjoyed everything about shooting one of my most recent weddings. It happened at the Seasons at 644 Pascack Road, Township of Washington, NJ 07676. Seasons is a first class venue that lives up its many 5 star reviews found online. Both the bride and groom were well attended to by a staff that were kind to my needs as well. You can see clearly that everyone knew what to do at every turn. Weddings always have changes in plans often at the last-minute, it’s the professional that can flawlessly work through these moments without notice. Seasons is the venue you’re looking for if you’re searching for a complete piece of mind that your needs are on the day of your wedding. So happy we found Jason Giordano ! My husband and I hired Jason as a photographer for our Wedding and we were very pleased with the results! The photographs are to die for and I have received so many compliments on them! I will definitely hire Jason for future events! Thank you for making our day so special and for being so cooperative! You are the best! capturing every special moment as you do. Jason is that guy. When I was searching through countless ads online and in magazines, I came across Jason Giordano Photography. I went to his website, like I did with many of them, only I was blown away by the examples of his work. I called immediately and left a message inquiring about his services and availability. He called me back that same day. Once we had established he was available, he asked me wonderful and thoughtful questions about me, my family, my future husband and my soon to be in-laws. There was no discussion, we hired him and I am so happy we did! day. He was on time, never distracted, and beaming as a new father. He never missed a beat and clearly not a single amazing picture. me. And the picture outside were absolutely beautiful! To give you an idea of how amazing our wedding pictures are, it took us MONTHS and MONTHS to decide which pictures we wanted to order for our Thank You cards. The variety of choices; ie: different angles, different distances, different lighting, different poses, different backgrounds. SO many wonderful pictures! Now we need to decide on the photo albums! Thank you Jason for capturing the most important day of our lives. Thank So Very Very Much! We look forward to doing business with you again soon!. Wow, I am a bit speechless. This is exactly the type of response I strive for from each and every client. Everyday I pour my heart into what I do. I am blessed to have found a passion. And a passion that has the opportunity to make a difference in some of the most important days in peoples lives. Thank you Traci it really means the world to me that you feel this way and would take the time to leave this review. Sincerely thank you. Jason was outstanding!!! He exceeded my expectations. He was such a professional. He took charge and my picture are already available! They are beautiful. We are so happy! It is with pleasure that I leave this review. We recently had an Oktoberfest/Wedding Reception in our backyard and had hired Jason to photograph the event. From the outset we were impressed with his professionalism and engaging personality. It was so nice to have a vendor as enthusiastic as we were about capturing the fun of the event! Many guests commented on how pleasant, patient and accommodating he was. Yesterday we viewed the pictures on-line and couldn’t be happier with the result. With nearly 100 guests and a lot of activity, it was wonderful to see Jason had somehow managed to include everyone in at least one shot. He also took special care to include artistic shots of all the decorations and games we had made ourselves clearly, he appreciated all the hard work and creativity that went into this event. We would not hesitate to highly recommend Jason for anyone’s photographic needs! We could not have been happier with the services Jason provided. I engaged him to take photos for my parent’s 50th wedding anniversary gathering. The photo shoot included 6 grandchildren (one who did not like to sit still). Jason handled the situation like a true professional – he was engaging with the children, was thoughtful about the photos to be taken and was an all around pleasure to interact with. W could not have asked for me – I highly recommend him! I was looking for someone to take professional photographs of my intimate wedding, and luckily I found Jason on Thumbtack. He met with me to discuss the details and expectations of my wedding, and he gave me an excellent quote to work within my budget. He is very, pleasant, professional, and eager to please his client. On my wedding day, he arrived early to my home, and he began snapping photos immediately in my home and in the backyard. He took a variety of pictures, and he travelled to all necessary venues within a 4 hour period. He was very professional, pleasant, and patient with us (Even during inevitable stressful family moments which can happen at times! )I highly recommend Jason to photograph your event. I will definitely call Jason again in the future. The quality of the photos and the artistry is superb. He created many opportunities for lovely shots all around the venue! Jason was flexible and easy to work with at all stages of the process. Many of our guest commented very favorable about his professionalism and his photographs. Jason came to our home and took family portraits for us all around the outside area of our home. I think that he was only supposed to spend about an hour with us, but I think that he ended up spending more like 1 and 1/2 to 2 hours with us. He was great! He was easy to talk with the on the phone and “do business” with. He was punctual the day of the appointment. We have 3 children, and so Jason really had his hands full with trying to capture pictures of all of us. He was warm, enthusiastic, positive, friendly, easy-going, and he made it very comfortable to have him take our pictures. Our kids had a lot of fun with him and were definitely comfortable with him. One thing that he did that I really appreciated was that he walked around our home and found all of these really great spots with beautiful backgrounds to take pictures of the kids in that I would never have thought of on my own. The quality of his pictures were also excellent. We got some really great family photos thanks to Jason. Most impressive and best of all was Jason’s turnaround time. I did not have to wait to long to see the pictures. Jason got all the pictures to me within a week! The quality of Jason’s work was EXCELLENT!!! I had interviewed a few photographers before choosing Jason to capture my proposal to my girlfriend. From the start, I was impressed with Jason’s professionalism and attention to detail. We were to meet at the Observatory Deck at the Rockefeller Center and on that certain day, it was snowing and the view was horrible. Jason was able to reschedule for a different day and everything worked out perfect and my girlfriend was completely flabbergasted and amazed. I would recommend Jason to anyone needing a reliable, trustworthy, and overall amazing photographer. Our pictures came out AMAZING and I can’t thank Jason enough for capturing one of the best moments of my life. He is professional and he is very skilled in taking photographs which capture the mood of the event. My partner and I decided to get married in New York on December 14th, 2012. Weeks before we went to NYC (we are from Texas). I decided to look for a photographer in NY to help us on our big day. It was hard because as soon as I sent my request, I received many responses back from people. I thought “OMG what am I going to do? I don’t know none of these people.” So I started talking to people, and I talked Jason. Over the phone, he sounded very warm and genuine. I have worked in Customer Service for many years and I can read people’s voices and faces. Jason made me feel wanted and it was like he knew exactly what I was looking for. Don’t get me wrong, it took me three days to make up my mind, especially when I have to put a deposit down (you do this through PayPal, very secure). I decided to use Jason as my photographer for my BIG DAY. The BIG DAY came, and Jason was there on time, he was ready and helping us throughout the whole process (he was our witness too), he was incredible, taking shots of anything and everything. He was with us from the beginning until the end of our ceremony, and even after, he took great pictures of us outside, at the garden, and everywhere he knew it would look good. Making sure we were comfortable and making sure pictures were good. I can’t tell you how grateful I was to find Jason. He knows what he is doing and he created a piece of art. They weren’t pictures, it was art. I recommend Jason, eyes closed, and if you have any doubts, well just take a lot at his work. He is a professional and I guarantee you, he will go out his way to make your day the best day of your life. Jason is truly gifted! After seeing his work on his website, I knew he would be the perfect choice for the launch event for my novel, REDEMPTION, in March. The photos and video he provided after the event captured, not only memories and moments, but the energy and feel of the evening. The joy and excitement I felt, the fun had by those in attendance, and even the mood and theme of the novel was reflected in each photo. Guests and other participants each commented on his professionalism, creativity, and exceptional work. I plan on contacting Jason again when it’s time for the launch of my next novel. I am so glad that we found Jason! There are so many important events that come only once in a lifetime. I never hesitate to reach out to Jason when one of those events are on the horizon. His vision and work is excellent. He is also willing to accomodate my ideas as well. I recently went through and purchased 75 prints from multiple events over this past year. What can I say? He’s good! Inspirer. Encourager. Teacher. Three words I can use to adequately describe Jason. Seeing his photos and the way he can truely capture the beauty of a shot inspires me. He always takes the time to view my photos and lends many encouraging words. In my own photographic journey, Jason is there to guide me along and assist me whenever the need arises. I am so thankful for the beauty he gives to the world; in his photos and in his willingness to help others! (Now if he will only buy me that new camera he is ‘inspiring’ me to get!!! LOL) Thank you Jason!!! Jason is an amazing artist capturing the beauty of the moments in such a natural way! He shot my 3 children outdoors as they played and got the most amazing and candid shots! Every time someone comes in my home, they want to know who took such amazing shots! Thanks jay! You captured my most precious jewels and gave me memories for life! You are amazing! Lisa D.
I hired Jason for my wedding.I was very happy with my photos and super excited about the book he put together for us.I let him choose the photos for the book,and it is Perfect!If you lived closer,Jason….I’d be having you photo Morgan!! We are located in Clifton New Jersey. Serving all of New Jersey including Franklin Lakes, Wyckoff and Allendale. On site portrait service. We come to you for your convenience. Everyone knows It’s all about image. Your portrait will sell you at your finest. We take the time from preproduction through post production to meet the highest level of professional portraits found today. Call today 973-619-5678 or fill out the form below and I will reach out shortly. Jason Giordano Photography is proud to announce that we are donating our time to the Epilepsy Foundation of New Jersey. We will be photographing the Golf Outing Charity Event on Monday, July 21st, 2014 at the Upper Montclair Country Club – Clifton, NJ Portraits of each foursome to be taken at the 9th hole. We are also offering a free wedding photography package which will be auctioned off in the silent auction. For those that are interested in participating see the link provided. Two Thumbs up for Jason Giordano Photography! Great time with Catherine and Michael last week. The church was St Henry’s in Bayonne NJ. If you don’t know St Henry’s I would say it’s a must to consider when looking for a church ceremony. Thanks again Catherine for having me. I will miss the weekly calls and fun chats. Best to you both and as always call anytime! • How did your business/company start, and what was the greatest challenge that you encountered along the way? My business started as a fascination with photography at a very young age. I have enjoyed taking photos for as long as I can remember. I never considered the possibility of making a living as a photographer until I was approached by a well-known photographer in St. Thomas, who was impressed with the way I interacted with clients at the hotel I was working at during that time. He asked if I had an interest in photography and shortly after I was shooting weddings by his side. It wasn’t very long before I was booking weddings on my own. The biggest challenge for me was the realization that I was now not only a photographer but also an accountant, web designer, salesman, wedding director and a marketing expert. Taking photographs would consume a small fraction of my time with all the duties that come with running a business. Fortunately for me I love that aspect as well. If I didn’t it would be much easier to work for someone else and let him or her do all the legwork. I would have to say the biggest challenge was relocating back to New Jersey and New York a few years ago. New York is the most competitive market in the world. I am happy to have had as much success as I have in such a short period of time. To have the ability to make a living as a photographer here is a great honor. Words can’t describe how happy I am doing what I love, where I love to be. • How would you describe your usual clients in terms of status, needs, and level of satisfaction toward your services? My clients vary greatly. Since relocating I have been very aggressive in my pricing in order to help get the business off the ground, reducing my rates by nearly half. Everyone that contacts me through Thumbtack has been getting the deal of a lifetime. I understand the value of word of mouth from each wedding I have the honor to shoot. I let the quality of my work speak for itself first, then work diligently to come up with a package that meets the clients’ need as well as the needs of my business. I rarely walk away from a potential client. I always try to match a competitor’s price. Sometimes I can, and others I can come close to. However, there are times when I will have to walk away. These days, there are a lot of “weekend warriors” who have bought a nice camera and may know how to take a decent photo from time to time, so they assume they can make a few dollars on the side as a wedding photographer. There are many problems with this philosophy. Number one: they are probably doing this for the money first. This is a big red flag in my book. They are not paying the overhead it takes for me to get to the level of service I provide. There are a lot of costs that go into taking “a few photos” at a wedding in addition to experience that can only come from being a full time wedding and event photographer. If you have a budget, be honest and let me know. I will work with you. I understand there will always be someone willing to do it for less, but I can assure you if I am walking away you may really want to do your homework on the “photographer” you are considering. Go ahead and Google them. Ask yourself, are they a weekend warrior? Ask them. Do they have insurance? Are they an active member of the Professional Photographers of America? Can they provide recommendations? Are they willing to show you a full wedding that they’ve shot recently? If you love my work I ask that you give me a chance to work with you to provide a package that satisfies your needs within your budget. I will strive for your five star ratings and complete satisfaction. No need to settle for less then amazing. • What do you think is the most effective strategy to keep your customers happy and satisfied with your service? Become friends. A good rapport is everything in this business. A great relationship will come through in the photos. I work hard to turn my clients into ambassadors for JGiordano Photography. Stay in touch. I stay engaged at all times. I make myself available when called upon and answer all questions or concerns in a timely manner. Going above and beyond. I have experience in event management and have assisted in setting up the venue when a group was running behind, even volunteering help in situations such as carrying in centerpieces from the car when seeing clients struggle. I do everything I can to help assure the clients’ success. I make that my business even before I’m hired. I let all potential customers know that even if they choose to go another direction, I am happy to assist should they have questions in any and all aspects of their event. If I don’t have the answer, I will find someone for them who does. • What was your most favorite and successful project? The very first wedding I shot stands out as my favorite experience. I was able to physically hand over the prints to the couple and they started crying right in front of me. Nothing could have prepared me for that moment. I was floored. They were tears of joy and excitement. I had given them the ability to look back in time from a perspective neither had previously imagined. They both hugged me and thanked me profusely. It was that moment I knew what I would be doing for the rest of my life. Fortunately for me, I have been able to turn that passion into a living. I have remained humbled by that experience and continue to strive for that level of satisfaction each and every event. If you’re looking for high quality, professionalism, personality and exceptional service, you should consider JGiordano Photography. Ok, so I tried to have a post to you today. Unfortunately I was unable due to. Being a one man show is a lot of work. My clients always come first! They have the number one priority over everything. I will always drop what I am doing to meet the needs of my clients in a timely manner. So please check back tomorrow if you’re interested in learning what the ISO setting on your camera is. A few images from the Virgin Islands. Hope you enjoy! Copyright © 2019 Jason Giordano NJ Wedding Photographer | Videographer.